Villa with 2 beds& 2 baths on resort overlooking pool. 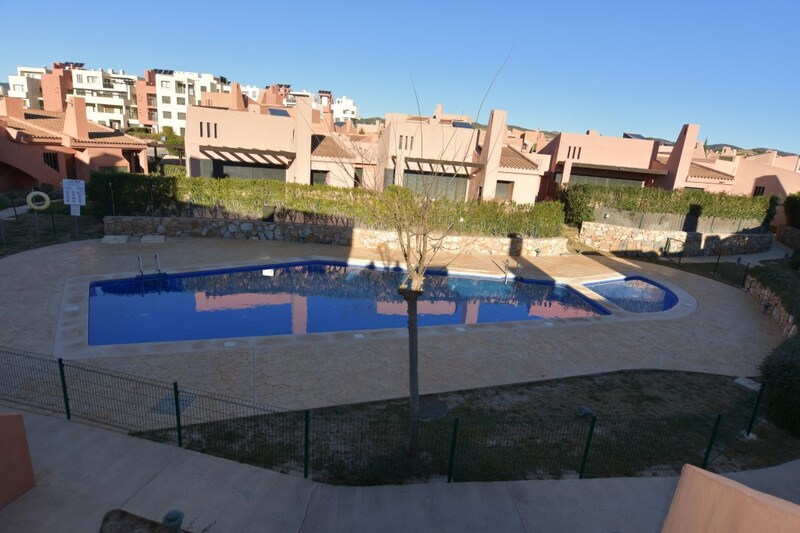 beautiful villa within a quiet community on Corvera Golf &Country!! 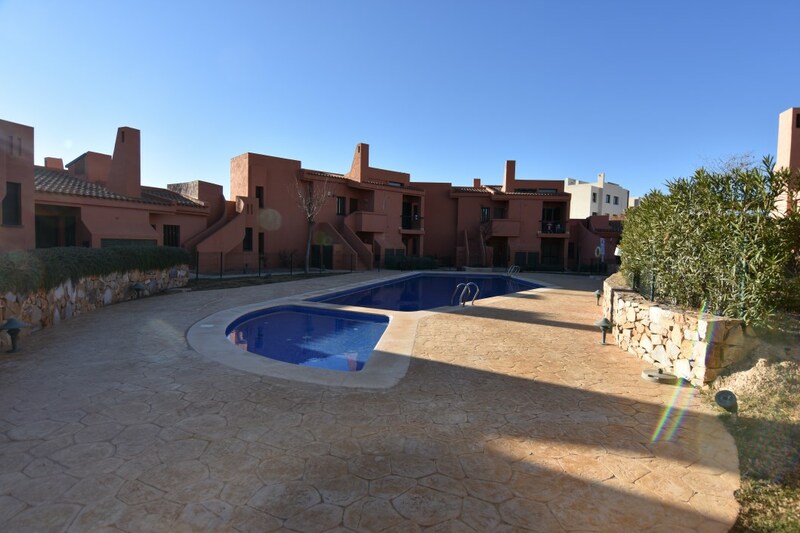 The community has communal pools and parking places and gardens and is very quiet!! Pleasant location. The villa faces one of the communal pools. At the entrance you have a closed utility room. On the left is an independent kitchen. The far door of the kitchen leads onto part of the living room, making an excellent dining area right in front of a set of French windows which open onto your own private terrace in front of the pool!! The living room is very spacious indeed, it's high ceiling making it very light and airy. At the rear large windows open onto a big private terrace and secluded garden. Rear access to road and public parking area and gardens. The sleeping quarters lead off from the left of the living room when coming in from the front door. There is one big family bathroom, one big bedroom and one big bedroom with full ensuite bathroom. The bedrooms all have windows and cuopboard space. At the front of the house a staircase lleads up to your private solarium with views over the surrounding area and pool, and also has stoirage cupboards. Could be an excellent family home, or vacation property for you or paying guests! !